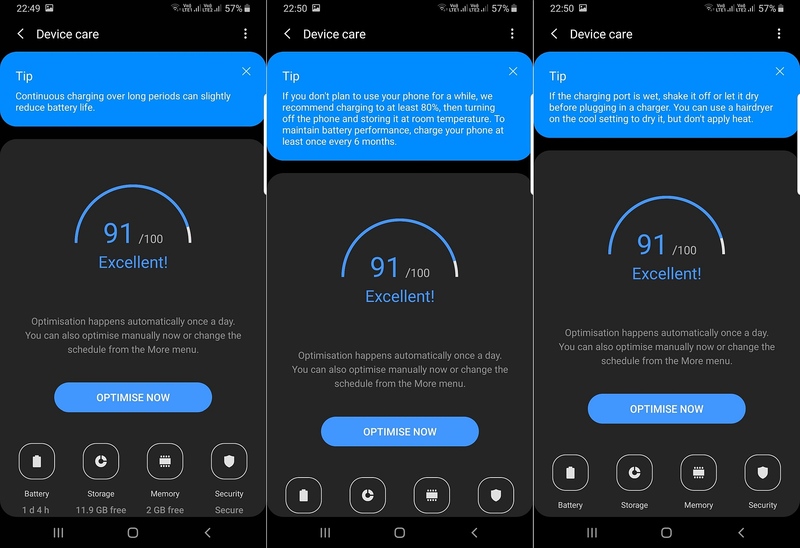 The Device maintenance feature on Galaxy smartphones allows users to handle their device storage, memory, battery life, and security. There are plenty of simple and advanced maintenance options in there, with new options introduced with Android Pie. Device maintenance has been renamed to Device care on Android Pie, and it looks like Samsung has also added a few battery tips that show up from time to time when you go into the Device care section in the phone’s settings. Did you know both high and low temperatures affect battery life? These are tips that many of you have probably known for some time and have likely been telling them to your friends and family. 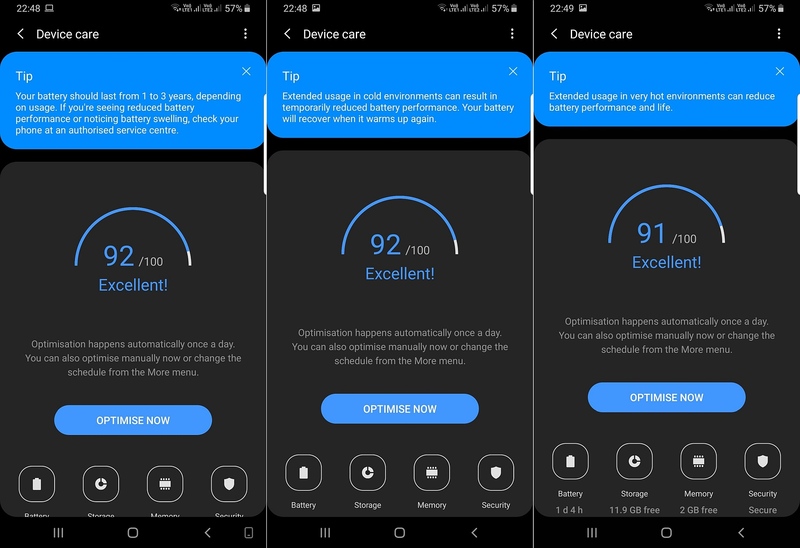 From telling you how the device’s battery life can be reduced in very hot or cold environments to telling you that your device’s battery can last anywhere from 1 to 3 years, these tips are a nice addition. It’s mostly battery-related tips, though, and whether Samsung will add tips on storage and memory with the final Android Pie update remains to be seen. Of course, this is far from the biggest feature that Android Pie and One UI will bring to the Galaxy S9, Galaxy Note 9, and other Galaxy devices down the line. But it’s a neat touch nonetheless, showing how Samsung makes so many minor changes with each new version of Android that go unnoticed or unpraised.